Keri Wittpenn has been selected as the new principal of Jane Long Academy. 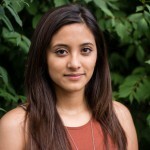 Wittpen began her career in HISD teaching at Westside High School as a Spanish, Social Studies, and ESL teacher. At Long Academy, Wittpenn served in various roles over the past seven years, including instructional specialist, middle school grade level dean, magnet coordinator, and assistant principal. 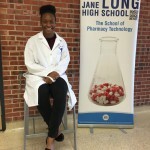 Most recently at Long Academy, Wittpenn led in the development of the Futures Academy Pharmacy Technician High School Program, expanding Long to grades six through twelve. 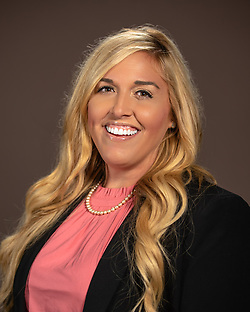 Wittpenn earned her Bachelor of Arts from Baylor University in Political Science and Spanish, and her Master of Business Administration from Rice University with an emphasis in the Entrepreneurship Program (REEP). This entry was posted in Staff updates and tagged Jane Long Academy on July 5, 2018 by HISD Communications. 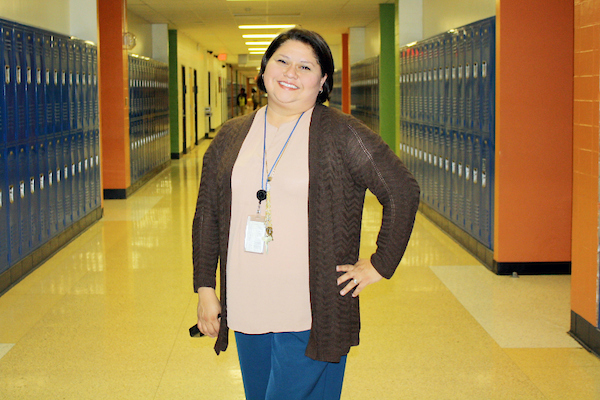 As the school bell rings and chatter begins to fill the hallways at Jane Long Academy, Berta Alicia Ontiveros holds a squawking radio and smiles broadly as she approaches students who are still lingering after the tardy bell. “Come on sweetie, you don’t want to be late,” she says softly. This entry was posted in Achievement/Recognition, Counseling & Guidance, HISD: Our Story, News, Wraparound services and tagged Jane Long Academy on April 20, 2018 by HISD Communications. Five Houston Independent School District students are among more than 1,000 high school seniors from across the country to be selected this week to the final class of the Gates Millennium Scholars program. 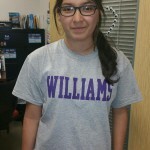 This entry was posted in Achievement/Recognition, College Readiness, District V - Sue Deigaard, District VIII - Diana Dávila, High Schools and tagged Bellaire High School, Carnegie Vanguard High School, Eastwood Academy, Jane Long Academy on May 3, 2016 by HISD Communications. Last week, the JJ Watt Foundation made Jane Long Academy Principal Marci Baez take a vow of secrecy. She was invited to bring 10 of her students to a pizza party on Saturday where they would meet the Houston Texans superstar, but Baez couldn’t tell them any details prior to the event. So she told 10 students on the football team where to go with their parents and only said it involved a pizza party. This entry was posted in District V - Sue Deigaard, Middle Schools and tagged Jane Long Academy, JJ Watt on April 21, 2016 by HISD Communications. Sometimes, opportunity dwells just down the street. Twenty-two rising seniors from the Futures Academy at Jane Long Academy are discovering this truth through pharmacy technician internships at Walgreens locations across the city. The Long students involved have all taken dual-credit pharmacy classes at Houston Community College (HCC). They will receive additional credit from HCC upon completing their internships at Walgreens, which could easily lead to pharmacy technician jobs or scholarships to attend pharmacy schools. Two interns, rising seniors Marilyn Mendoza and Jonathan Urguilla, have already received job offers from the stores at which they are interning. This entry was posted in District V - Sue Deigaard, Futures Academy, High Schools, Volunteers and partnerships and tagged Futures Academy, Jane Long Academy, Walgreens internships on July 14, 2015 by HISD Communications. This entry was posted in Career/technical education (CTE), College Readiness, District V - Sue Deigaard, High Schools and tagged Futures Academy, Jane Long Academy on January 15, 2015 by HISD Communications. Jane Long Academy held a white coat ceremony Friday for its pharmacy students. The ceremony was held to induct ninth-graders into the School of Pharmacy Technology, which is part of the HISD’s Futures Academy, and to celebrate the achievements tenth-graders have made over the past year. This entry was posted in Career/technical education (CTE), High Schools and tagged Jane Long Academy on March 10, 2014 by HISD Communications.